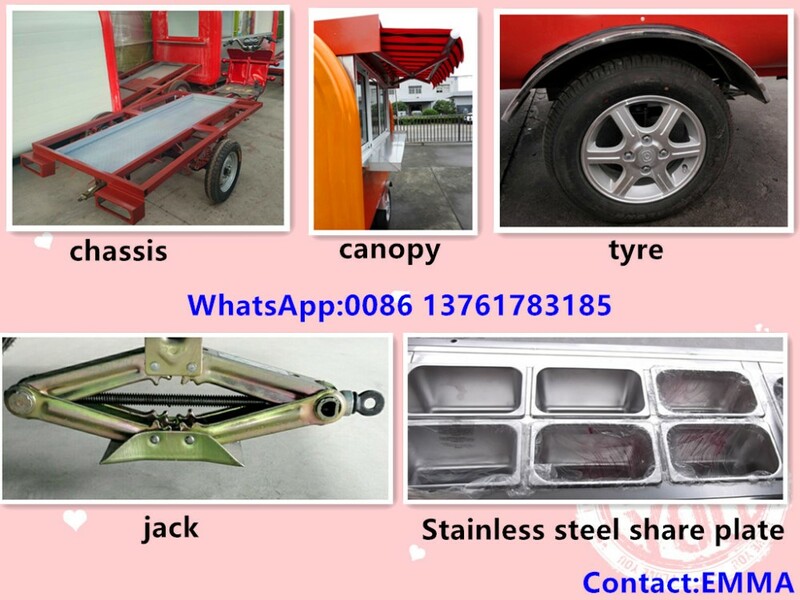 Frame: Welded heavy duty tubular steel frame, frame and suspension components treated with rust resistant protective coating. 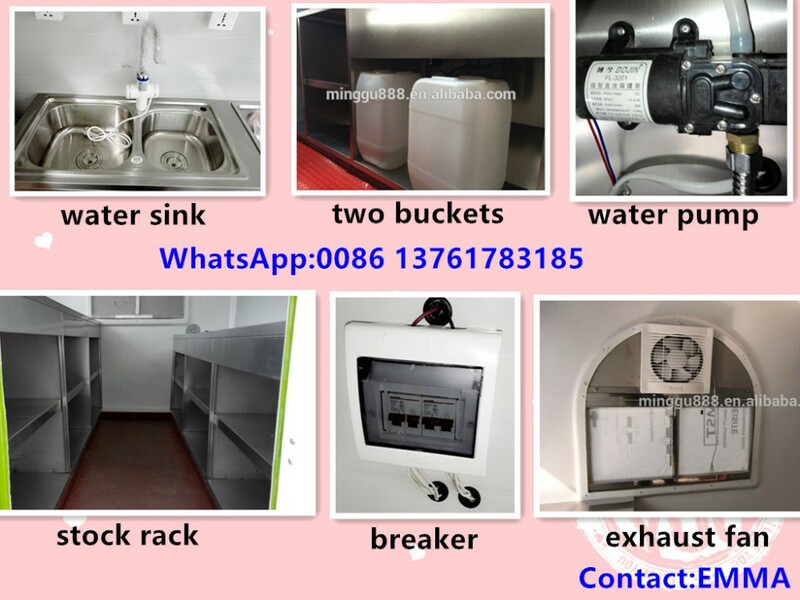 Water and drainage systems: Heavy-duty water system plumbing with automatic water pump, Two stainless steel sinks with hot water heater or one single hand sink with cold water tap, one freshwater tank and one wastewater tank. 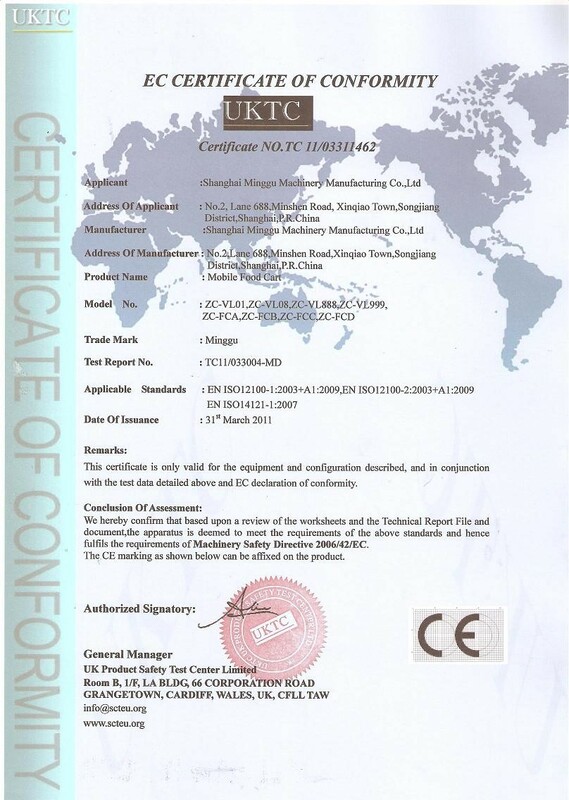 12v auto-water pump ,on/off control switch. 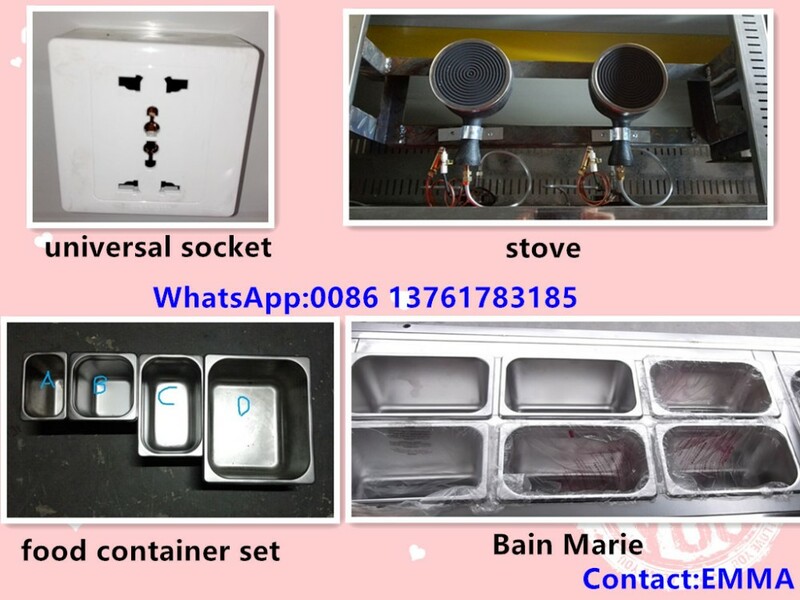 Electricity distribution: appliances and protector, fuse fill-in boxes / cable, Lighting device, socket, voltage governor, fuse/connecting box and external cables available. 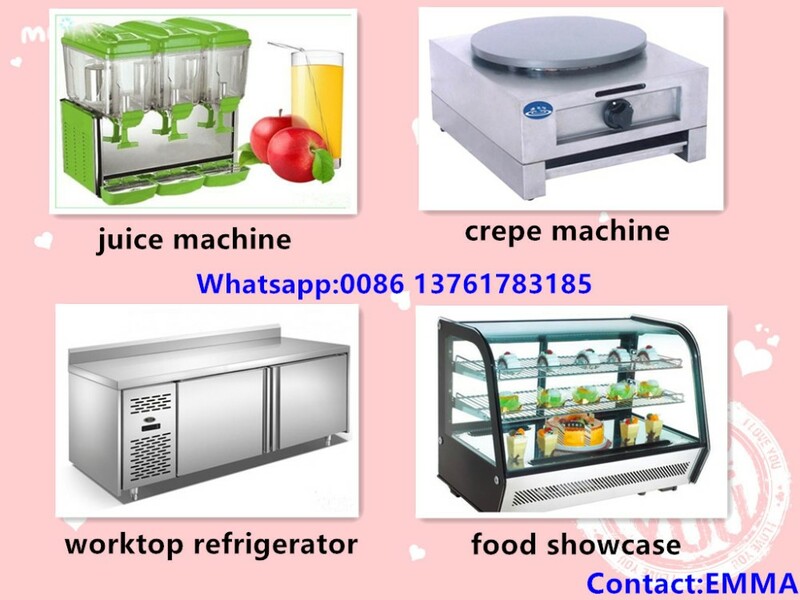 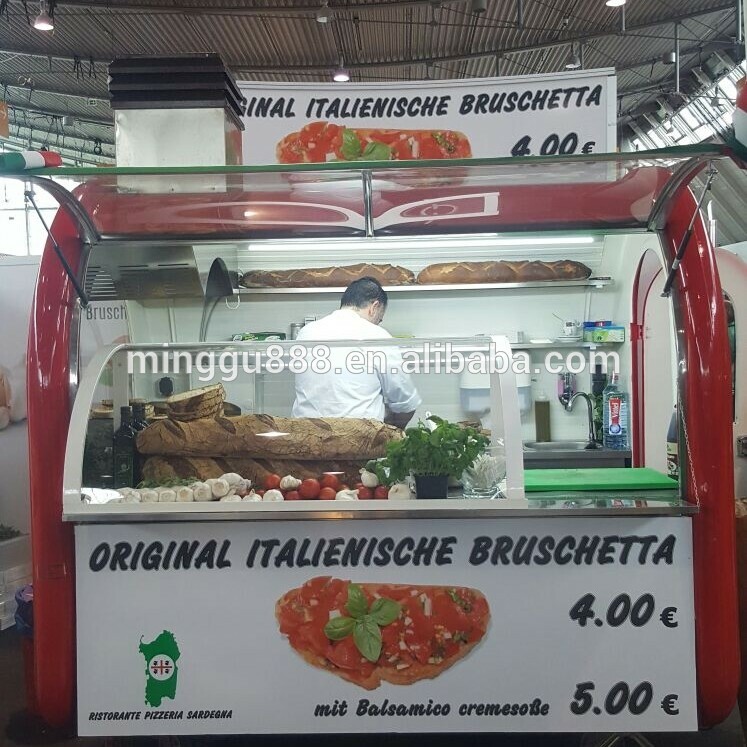 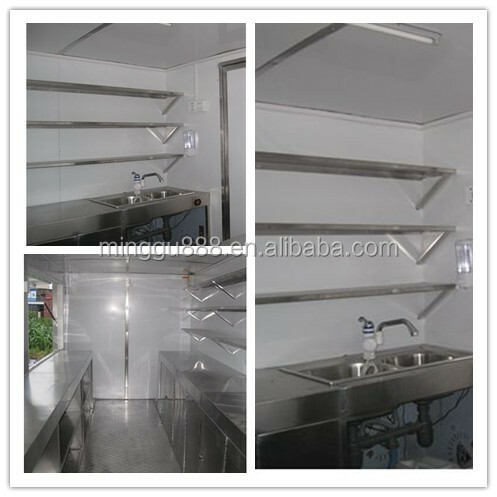 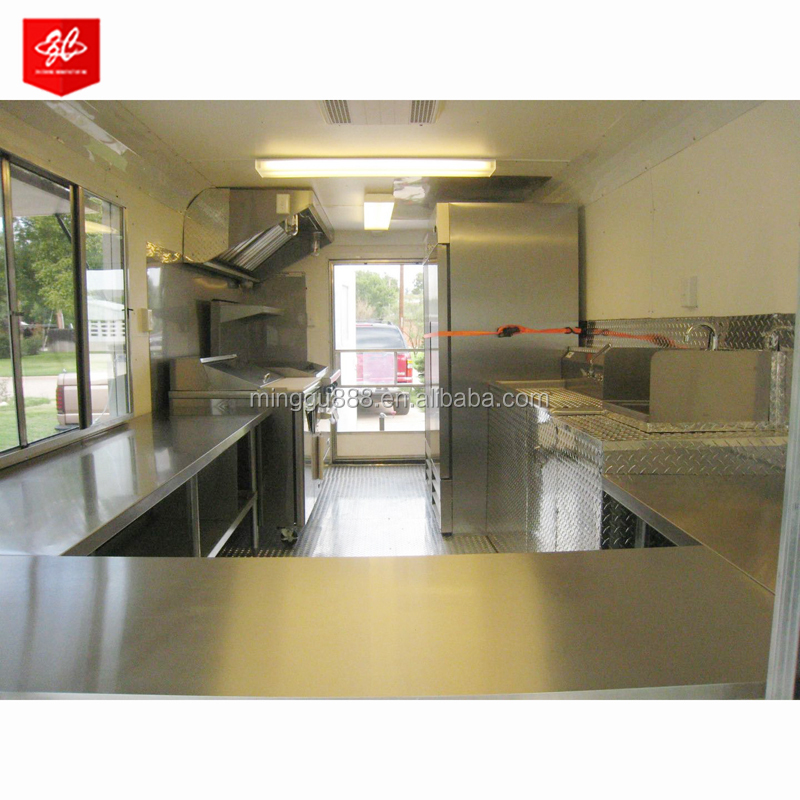 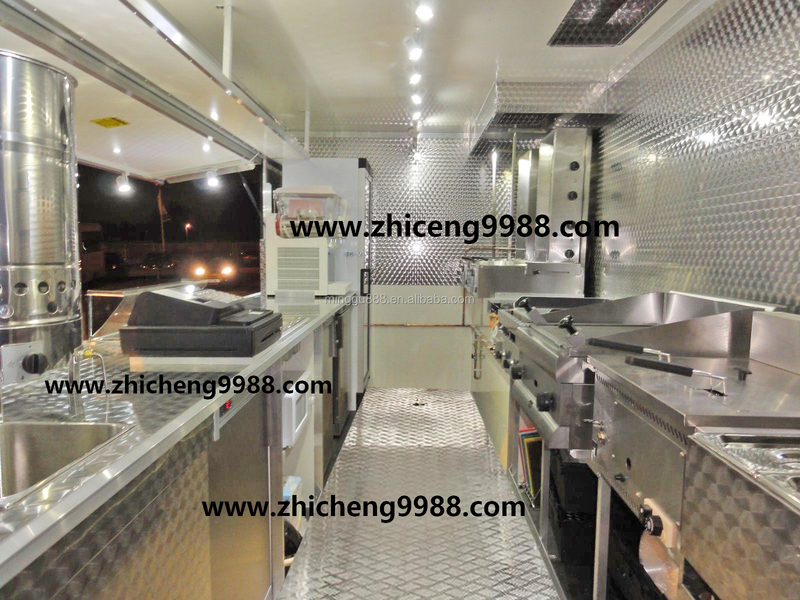 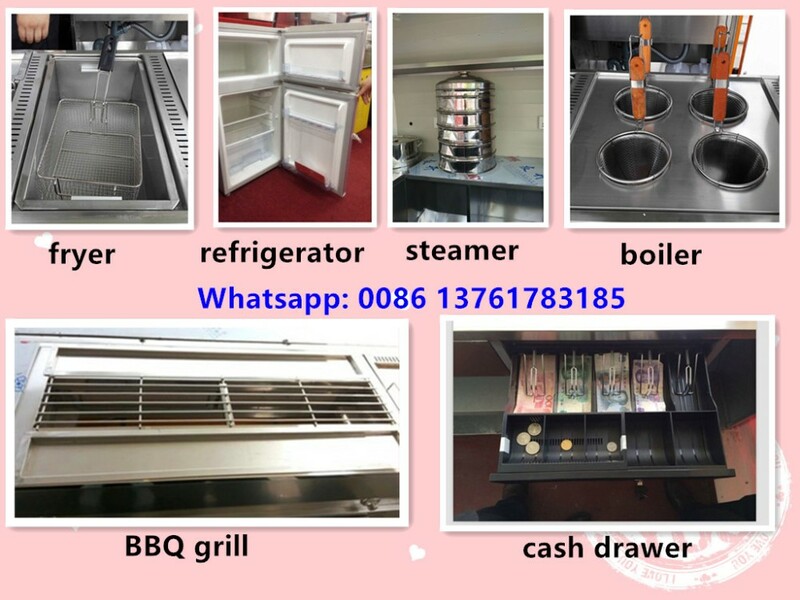 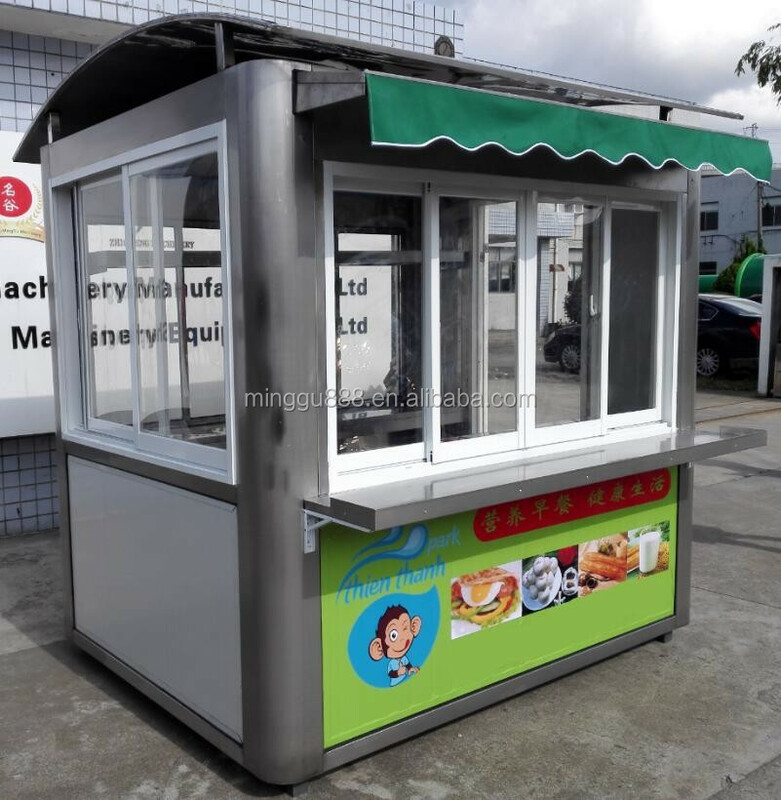 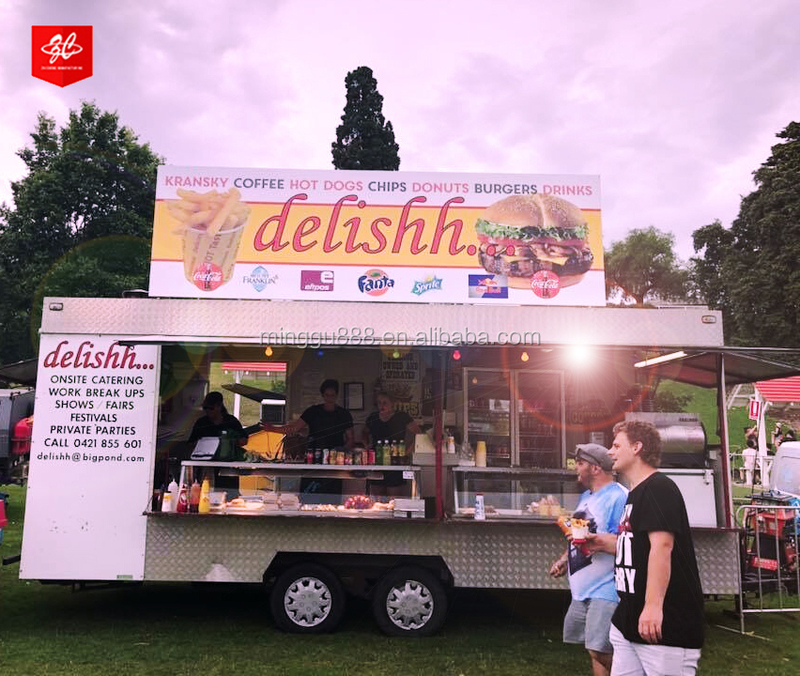 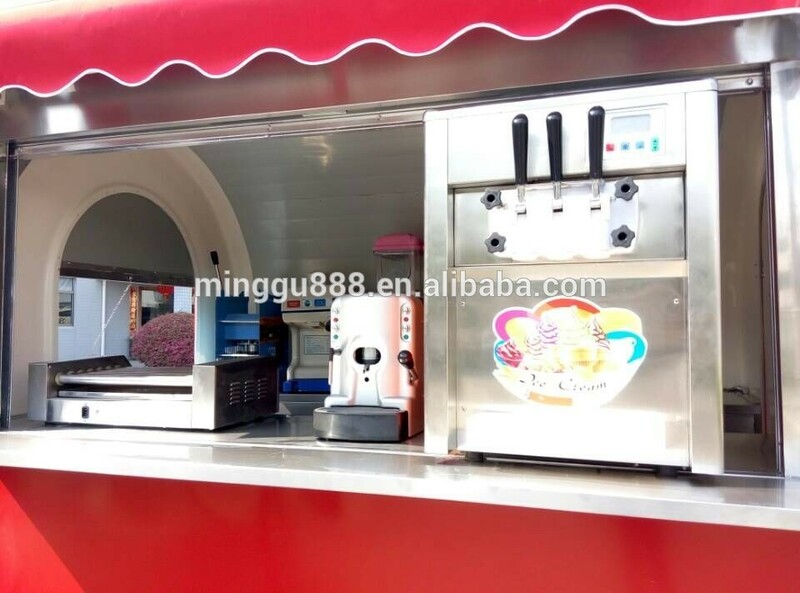 Devices of internal working surface: food standards stainless steel countertops, stainless steel cupboards (big storeroom) , stainless steel doors below can be choosed; Cash Drawer and exhaust fan also as options. 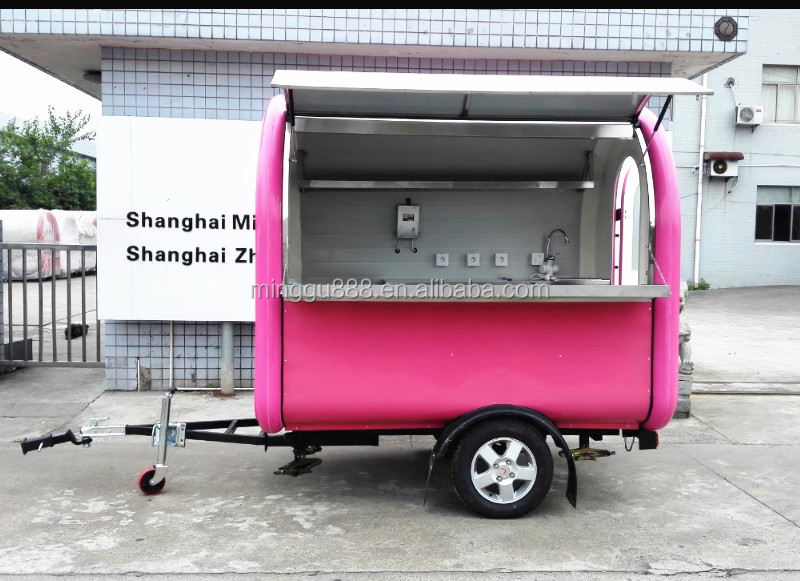 color choice: Red, Yellow, Orange, Dark blue, green ,black,white ,pink or customize. 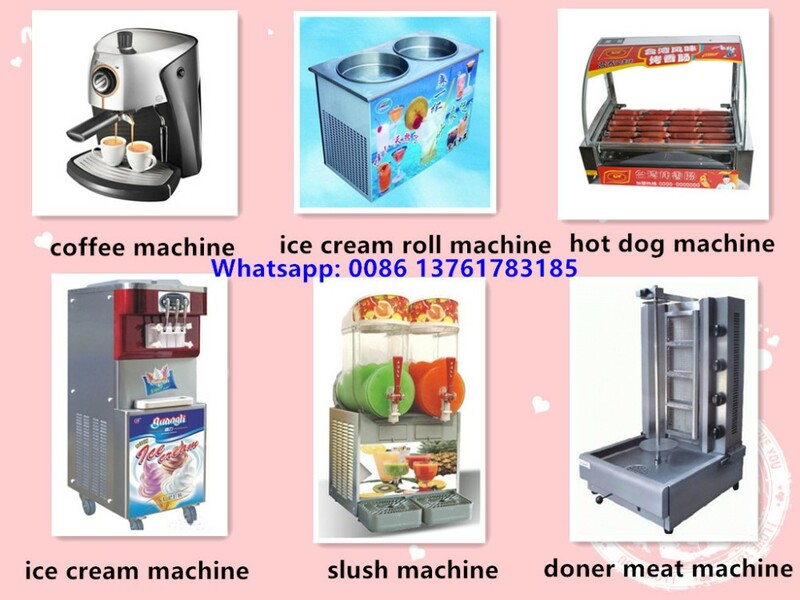 3.What is payment method ? 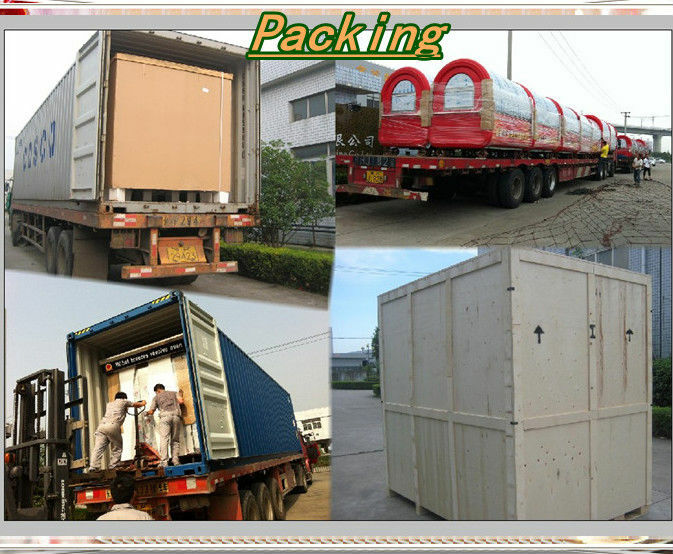 5.What is the lifetime of the trailer? 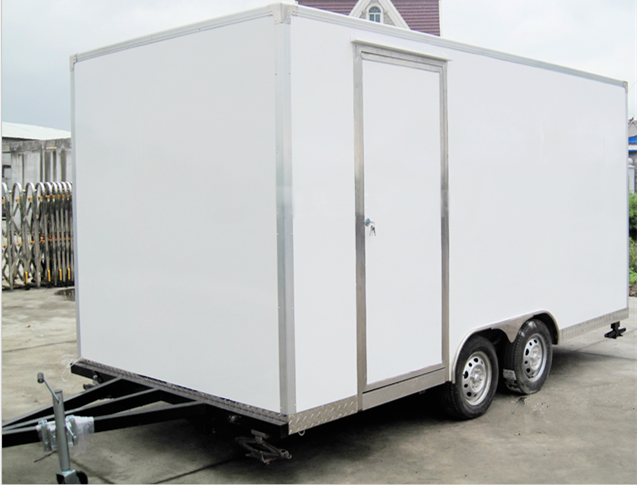 The designed lifetime of trailer is 20 years. 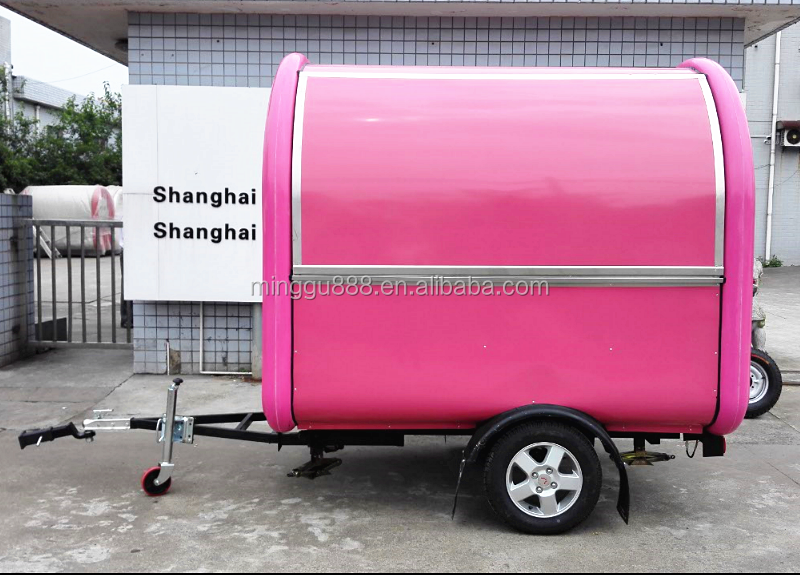 The guarantee of trailer is 5 years. 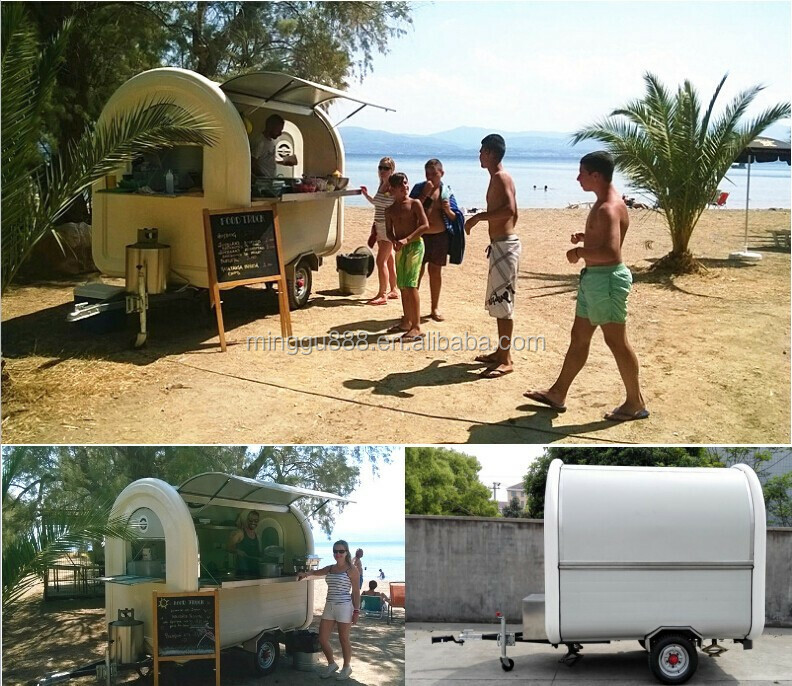 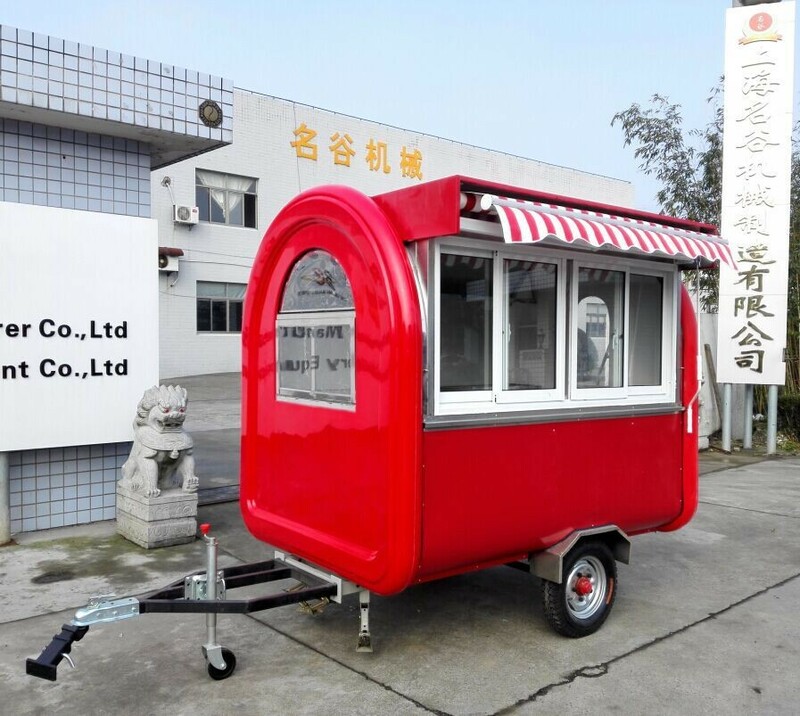 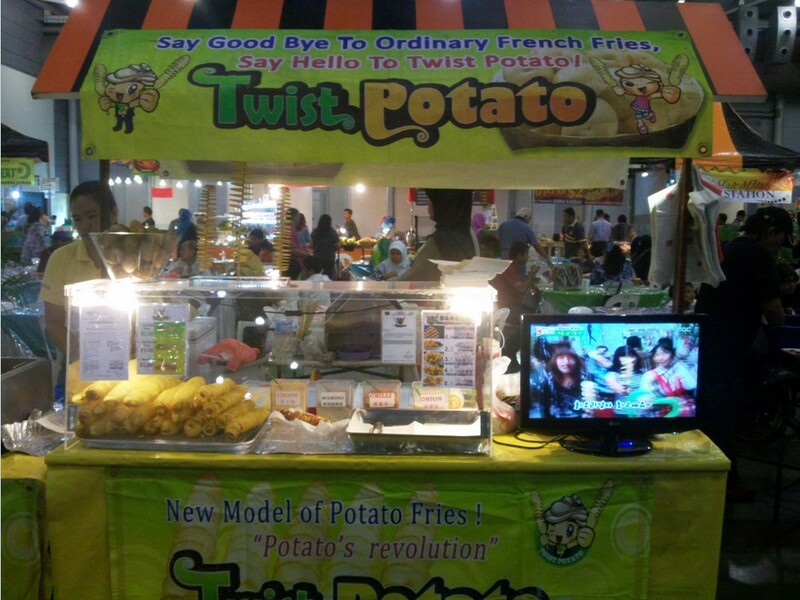 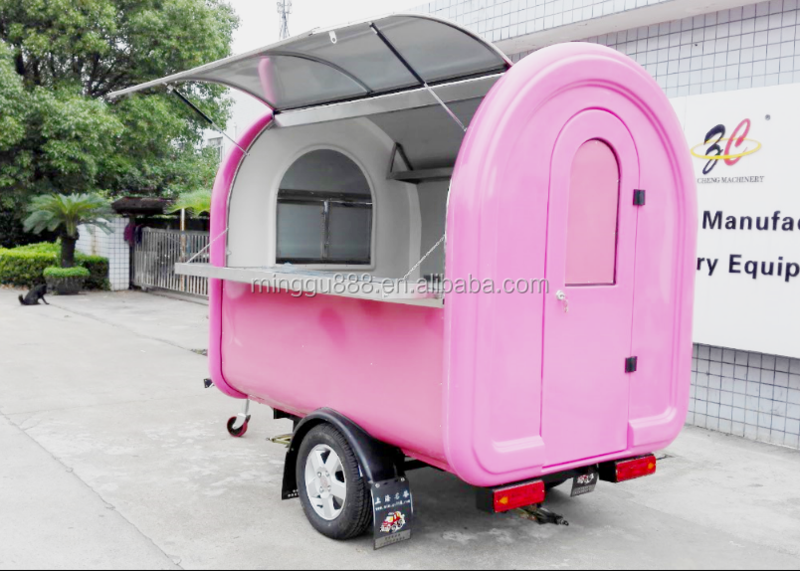 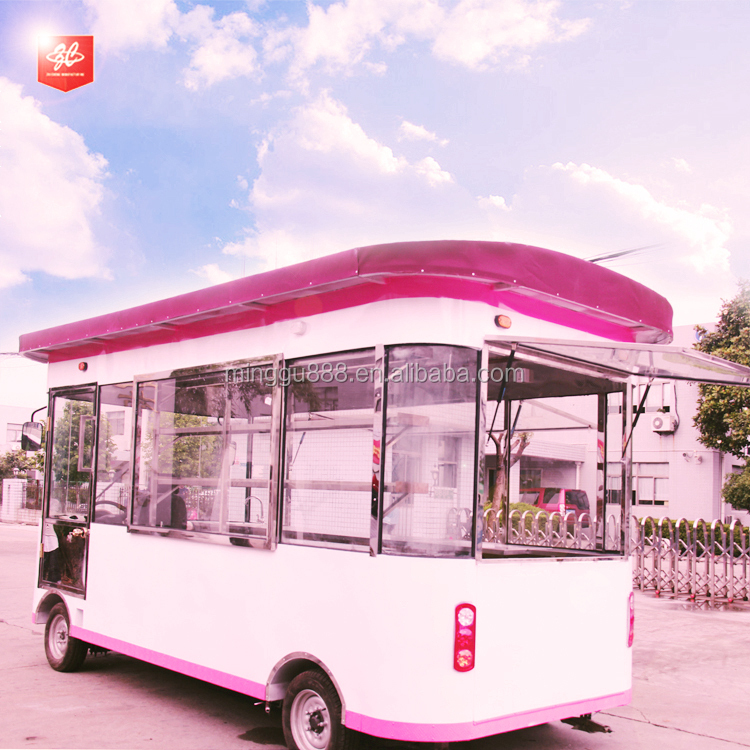 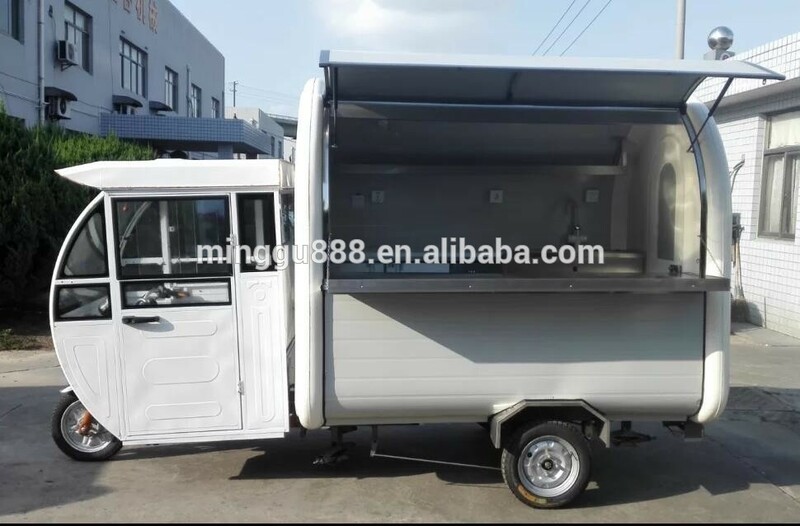 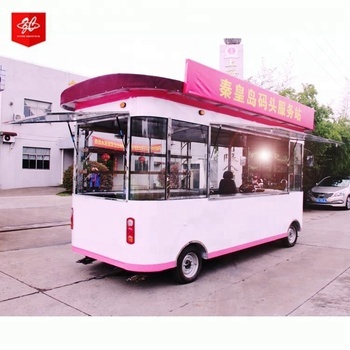 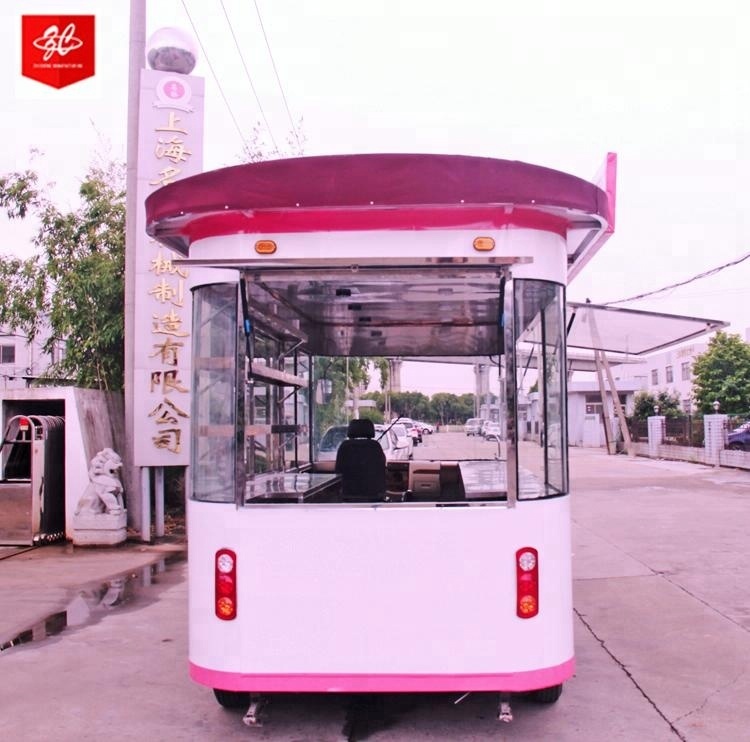 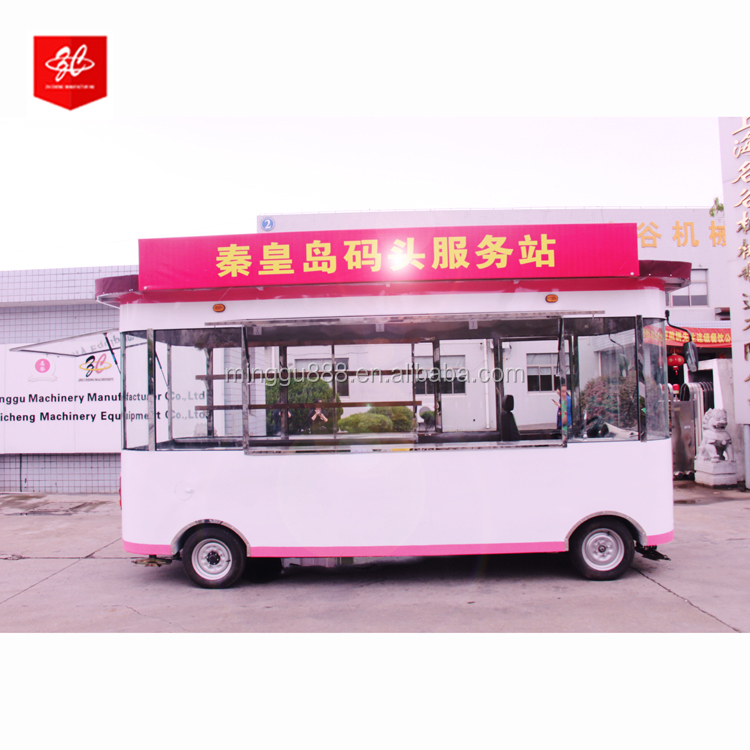 6.The trailer color can be customized ? 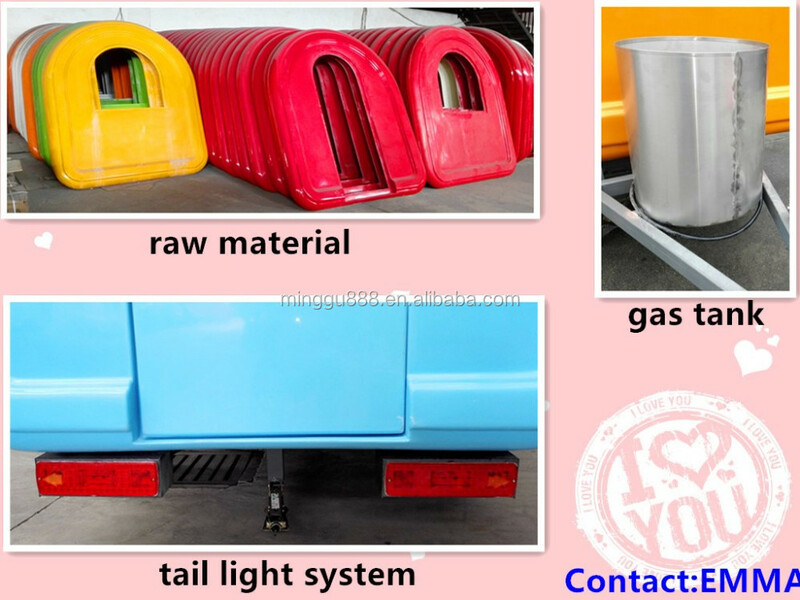 Yes , can , any color and any logo by stickers is available .